← Fulton, N.Y. Says “Come and Shop and Enjoy With Us! 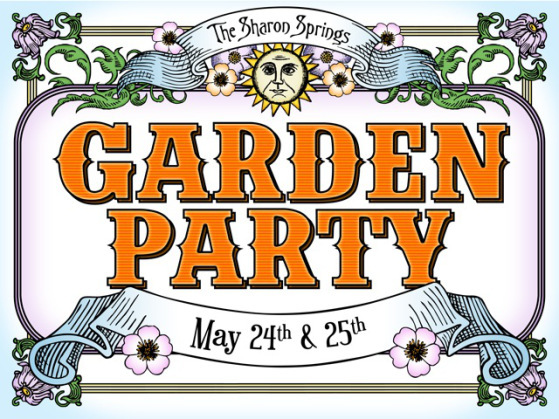 The Sharon Springs Garden Party needs more than a little rain to keep it from growing, year after year after year! This Memorial Day weekend was a big one for the tiny village just off Rt. 20. Although home to only a few hundred permanent residents, this historic village swells several times a year as festivals become the star of the show. The “Garden Party” is an annual gala community-wide event celebrating the end of a long winter and the return of a beautiful Upstate springtime. The village has had its ups and downs over the years, and many of the ancient (and empty) hotels bespeak what it was like in its heyday. But the big turnaround is underway and it is bright and sunny days ahead for this former mecca for tourists. 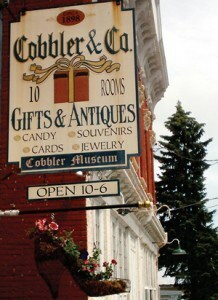 Today several specialty shops line the little business district offering many unique (and homemade) items. There is a fine day spa and a nice selection of antique shops. All are housed in century old buildings reflecting the period architecture of the glory days of Sharon Springs. There are also several fine eating and drinking establishments including a new wine bar as well as the highly respected American Hotel. Josh Kilmer-Purcell and his partner Dr. Brent Ridge, known far and wide as The Fabulous Beekman Boys, are among the early supporters of this big renaissance in Sharon Springs. Of course they are famed for their many TV appearances, books, and personal appearances around the country. But they gained even wider fame a couple of years ago when they won a million dollars coming out as the champions on television’s reality show The Amazing Race. The Beekman Boys now own a fabulous mercantile business on Main Street in Sharon Springs. Visitors come from around the country to buy the store’s upscale countrified items in the shop (and online here) and to meet these media darlings. Take a look! they said) for travelers coming through by Model T or trains in the early days. 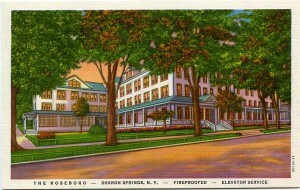 Most of course came for the famous mineral baths which put Sharon Springs on the map. Like so many of the other structures in the town, the Roseboro faded into obscurity as vacation crowds moved north to Saratog about a half century ago and the community begin to disappear. Now the Roseboro is on the way back! It was a great afternoon in Sharon Springs…if you haven’t been there in a while you really should take a drive up and check it out for yourself! Come to a Garden Party Festival in Sharon Springs This Weekend!In "Schoharie County"
Sharon Springs to Celebrate with a Garden Party Festival!In "Schoharie County"
Sharon Springs Shines For Annual Harvest Festival! (VIDEO)In "Recaps"
This entry was posted in Uncategorized and tagged sharon springs, the fabulous beekman boys. Bookmark the permalink.